L and I were pleased to attend the 50th birthday celebration of G, a good and generous friend of mine, and fellow cyclist, at the weekend just gone. 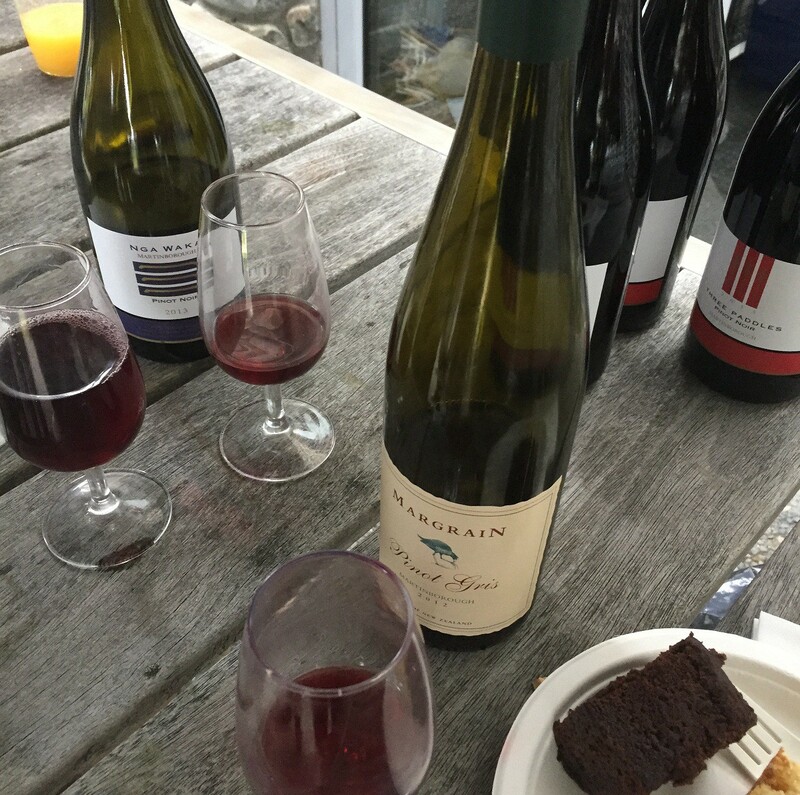 He held it on a cool afternoon in the lovely environs of a Martinborough vineyard belonging to Nga Waka. Our kids were there, as were his, and they all had a great time running up and down the vines. The company was great, and he hired a fantastic singer/guitarist who knew all the songs, and played for hours! Over the course of a long day’s party, I got to taste the Ata Rangi Petrie Chardonnay (elegant, restrained), both Nga Waka and Three Paddles (the second label) Pinot Noirs (involving floral notes on the nose), Nga Waka Sauvignon Blanc (lovely, but alas Roger Parkinson has pulled out his vines to plant more PN), Margrain Pinot Gris, Palliser Riesling 2012 (stunning) and a rich Hawkes Bay Bordeaux blend which name escapes me. What a treat! 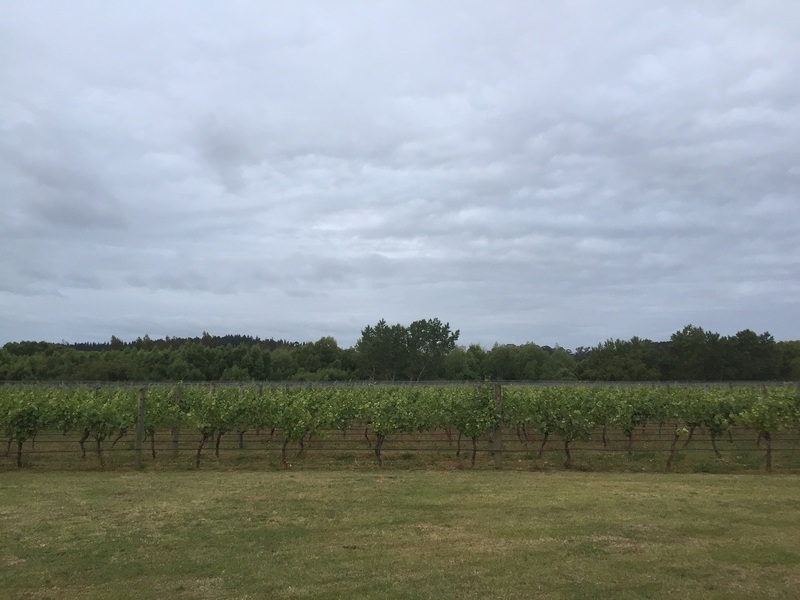 This entry was tagged Ata Rangi, Margrain, Martinborough, Nga Waka, Palliser Estate, Wine of New Zealand. Bookmark the permalink.